I finally got to break out of the concrete jungle that is Tokyo and made my way down to Kobe. There’s really only one area to experience Kobe nightlife and that’s Sannomiya. I put ili to the test to see if this device could actually break the ice with locals and get a few recommendations. And much to my surprise, it worked better than I thought! I’ve only been to Kobe once before—for about 45 minutes. This time around, I wanted to get a better glimpse of what the city has to offer. Arriving in the evening, I set out to do what I do best: go for some drinks with the help of ili. ili’s one-way translation caused some surprises and made for some fun entertainment. I've used ili in Tokyo before, so after a few minutes roaming the Kobe, I decided to try the device out again to ask for my first recommendation. A few locals were happy to take me to a place called Bar Shark. Bar Shark is tucked away in an alley near Shimoyamatedori (try saying that on repeat) on the second floor of one of the buildings. As you walk in, you’ll notice the glow of fish tanks located inside the walls, underneath the tables and behind the bar. The dimly lit bar presents a welcoming ambiance, good for a small group of two to four people. Drinks there are reasonably priced, averaging around ¥800. I kept it simple and ordered an oolong highball, my drink of choice for a night out in Japan. After receiving countless recommendations to visit the local girl’s bar (which are common along Sannomiya), I was told to head over to Bar Moonwalk. Bar Moonwalk actually has locations across Japan and is known for being cheap. In fact, every drink they serve only costs ¥200. Unreal, right? For the price, the drinks taste reasonably well. Heck, anything for ¥200 tastes good. However, the bar is a tad loud. When asking for drinks using ili, I had to use the repeat function a couple times to get the bartender's attention. Luckily, he understood the translation device and recommended a Kamikaze. Being so cheap, I was tempted to order more but then realized I had to get up early the next morning. There’s no doubt in my mind Bar Moonwalk is responsible for the majority of hangovers that occur across Japan. After leaving Bar Moonwalk, I stumbled into a group of locals who seemed like a good bunch of people. I think they must have thought I was some kind of YouTuber when I was using ili to talk to them. Anyways, they wanted to introduce me to a bar called Little Feat (not Feet). I wasn’t sure what to expect, especially judging by the name alone, but being the adventurous type I followed along. Like Bar Shark, Little Feat is located in one of the back alleys. However, this time I was led underground. As I walked in, I noticed the air got dramatically cooler. I figured this was the bar’s way of fighting off the summer heat. Nope, it’s because they have live penguins swimming inside. Yup, penguins. I’ve never seen a penguin in real life (not that I can recall) so it was definitely cool (no pun intended). We sat in one of the wooden tables and ordered the special which was quite tasty (and also quite pricey). If you’re with a group of four to five people, Little Feat has two large tables to accompany you. The bar isn’t so loud and has an American lodge type of feel. It’s a nice spot and I recommend going just to check out the penguins. You won’t break the bank here, but expect to pay a little more than Bar Shark. 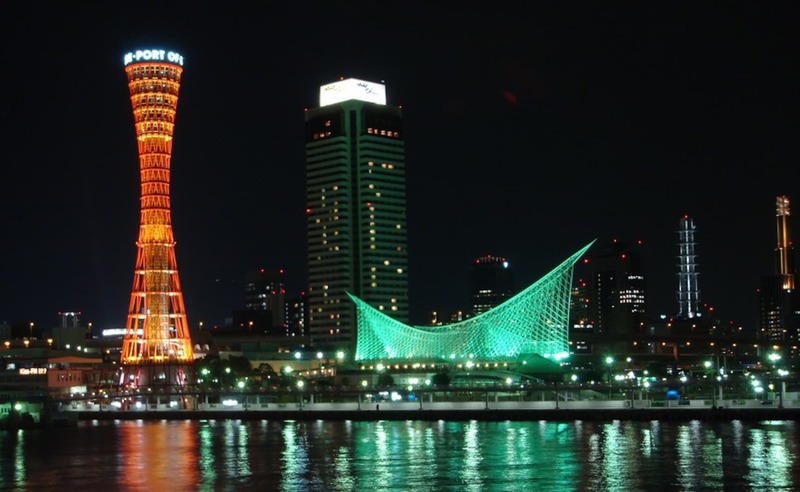 If you decide to take a trip to Kobe and go for a night out, head to Sannomiya. You’ll find a lot of great places besides the three I’ve suggested on the main road as well as the side streets. Even though Kobe’s nightlife is much smaller than Osaka’s it also means fewer lines and easier access to restaurants, bars and such. Just a quick heads up: most of the excitement happens from 8 p.m. until midnight. Afterward, many people tend to go home or take the 30-minute train to Osaka’s club district, Namba.